We can build our Roll-Up® Covers up to 12' wide and to any length needed. Compare the architectural aspects of this solid wood cover to the impression a foam cover would make. 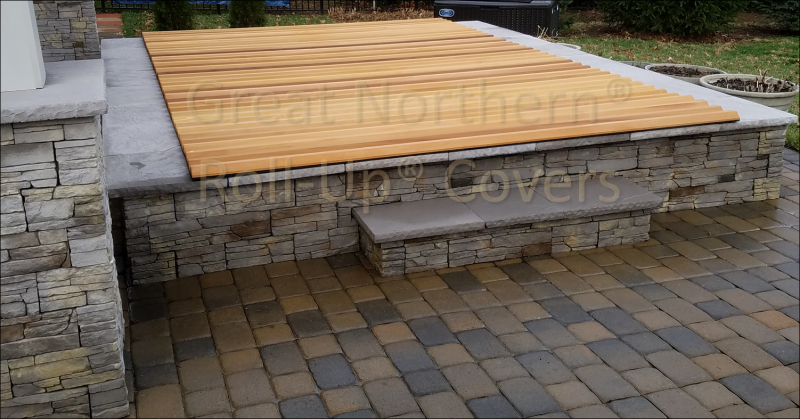 This cover can stand up to heavy snow loads, yet it’s easy to roll up for quick and convenient access to the spa. Call us for pricing and guidance on how measure your spa for one of our covers.